Standard packing for Medicom Toy. 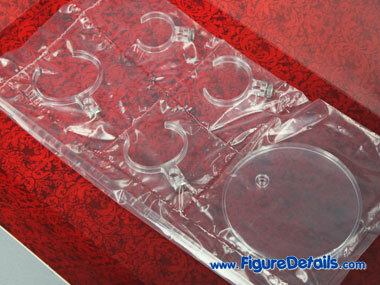 Only one tray to store figure and parts. 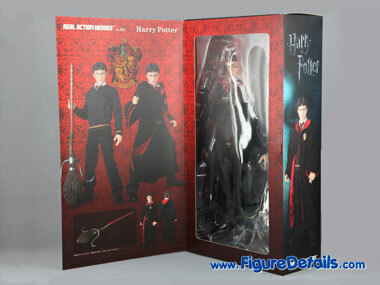 If you look at the action figure from the box, you just can see the Harry Potter with Gryffindor House Robe. 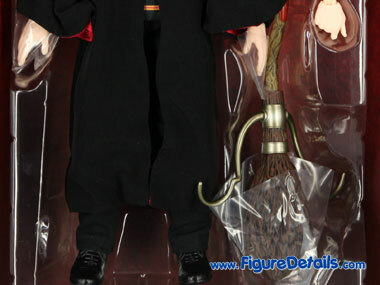 The Robe is so big that cover the whole figure, and you cannot see the details of Gryffindow House school uniform. 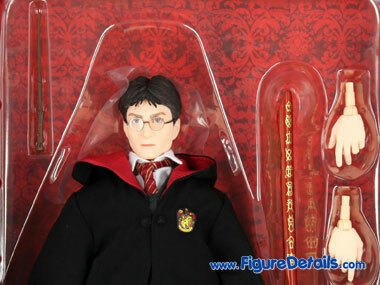 It is better to put the Gryffindor House Robe on the other tray, and put it on the other side of the box. 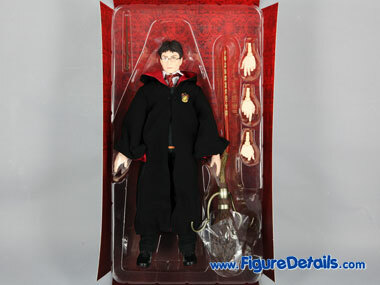 Then, you can see the details of this Harry Potter action figure. 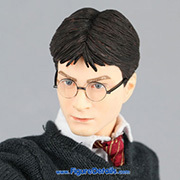 Harry Potter - Don’t have to say, you know who he is. 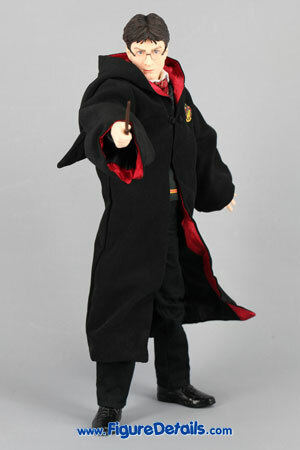 Harry Potter is one of the most favorite character in J. K. Rowling Harry Potter novel series. 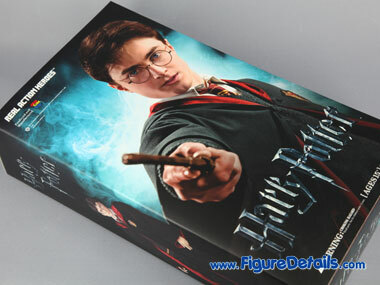 The first Harry Potter novel (total seven) - Harry Potter and the Philosopher’s Stone released in 1997, and became rapid popular. In 2001, the first Harry Potter movie is released. 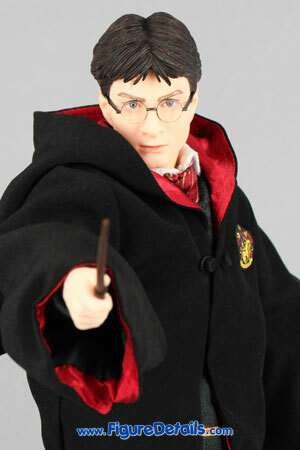 I know Harry Potter from that time. 10 years already, the seventh movie - Harry Potter and the Deathly Hallows is already released in 2010. 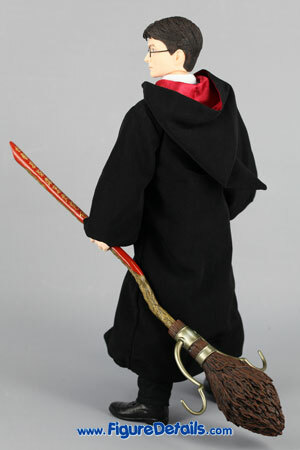 The finial movie will be released in July 2011. 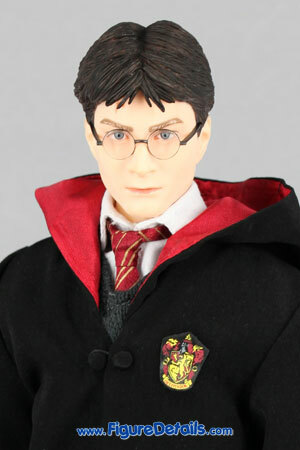 Back to the action figure, this Medicom Harry Potter is based on the movie Harry Potter and the Deathly Hallows, and as I know it is the first Harry Potter 12 inch action figure so far. 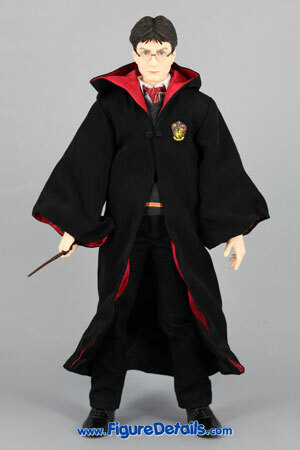 I am very happy that medicom can get the Harry Potter license. 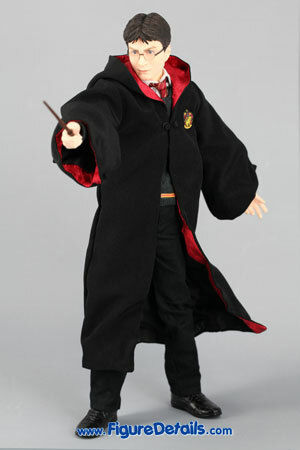 Hope that more and more Harry Potter characters will be made as 12 inch action figure. 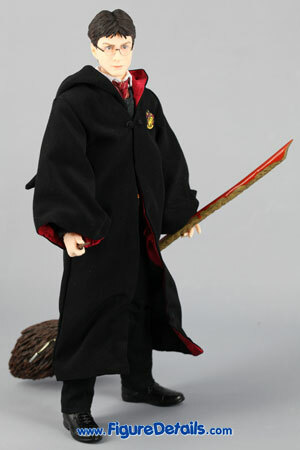 Here I show you some photo of Harry Potter with Gryffindor House Robe.